Many nurse researchers have embraced narrative methods because of the power of the stories they produce. Narrative enquiry relies on stories for data. Stories are the tools with which people build a sense of their experience of the world and the vehicle by which they share that sense with others. In narrative research, it is essential to follow themes beyond individual stories through to analysis at the social level. The researcher must understand the significance of the narrative for others and for society. Narrative lends itself particularly well to studies of changes in a society and societal groups. To define and describe approaches to narrative enquiry, address their uses and usefulness, and identify potential issues. Narrative methods require the development of trust. Researchers and participants must understand their roles as well as the processes and intent of the research. While narrative approaches provide powerful stories through which issues can be understood, they must be approached with careful consideration of the power imbalance in the relationship, the vulnerability of the participant and the potential misuse of empathy in influencing outcomes. Narrative enquiry provides powerful data to answer important research questions meaningfully. Researchers using narrative enquiry must be mindful of the power of the bond formed in the sharing of stories and not encourage participants to share more than they intend. 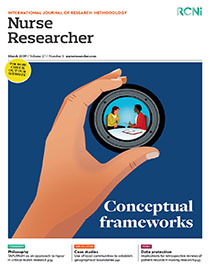 Nurse researchers need to understand their role as researcher in their relationships with participants and view the powerful stories they are told as a way of answering research questions, not as a call to engage therapeutically to solve problems.